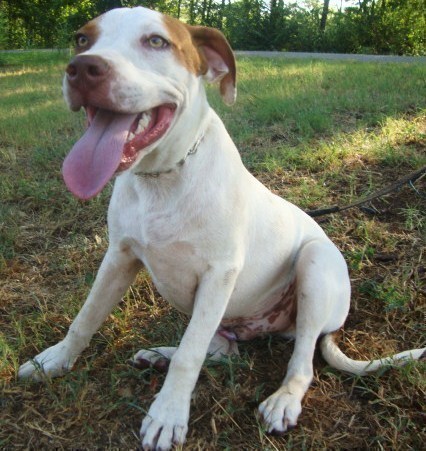 Drew is a 6 month old brown & white male pit bull mix. Drew is a very sweet dog. 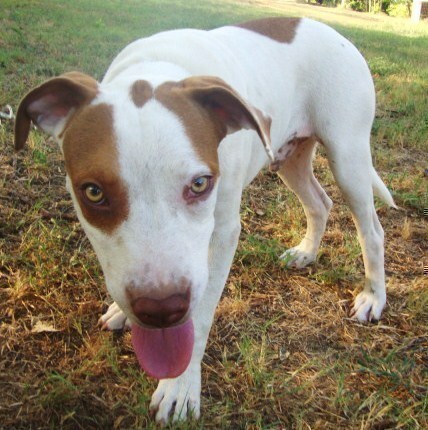 Drew has the fun, loving energy of a young adult and loves to play with other dogs, or just be in the house hanging out. 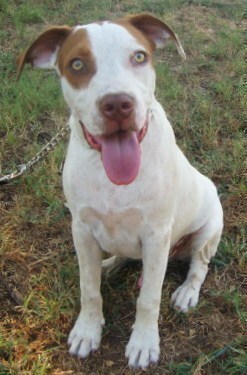 Drew gets along great with children, all other dogs big or small, is crate trained, and working on his housetraining. Drew is a very smart dog and picks up things well and fast. Drew is looking for his forever home where he can be given tons of love and affection. Drew has much love to give someone even though his past which we are unsure of probably wasn't the greatest. Drew comes neutered, up to date on shots, microchipped, and on heartworm preventative. If one is interested in giving Drew his forever home please fill out the application above. DREW'S ADOPTION FEE:$100.00 Reviewed & Updated: 09-27-2010 Drew is exclusively fed Natural Balance Ultra Premium Dog Food!